We have all gone a bit over board from time to time and had that one drink too many which has left us feeling quite under the weather the following day, and sometimes for a few days after. Hopefully this advice will help you to prevent this from happening after you have enjoyed your Stag or Hen night, or at least help you to recover quicker than normal. The reason behind a hangover is of course, too much alcohol. The alcohol that you have consumed has caused your body to lose essential salts (Potassium and sodium), sugars and it has also dehydrated your body which makes your brain shrink slightly and leaves you with a headache. There are of course many other symptoms which occur as an after effect of too much drinking. Extreme tiredness from lack of sleep. Trips to the bathroom could increase. You may suffer with a high temperature. Your eyes could become sensitive to any light. However lucky (or unlucky) you are with regards to a hangover, it is not a pleasant experience and everyone would wish to avoid it if they could. 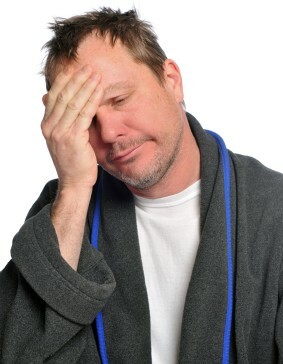 Cures on how to stop or even prevent a hangover are always being passed on and everyone has heard about the 'Old Wives Tales' and how they can help. Other than to refrain from drinking at all there are a few options which could help, these include the following. Eat before you go out drinking. This is believed to slow the alcohol down from getting into your bloodstream. Milk will also apparently 'line' the stomach. Never start drinking on an empty stomach. Add a soft drink in between each alcoholic drink or replace one of your drinks with a cold glass of water which will definitely help with keeping your body hydrated. Not mixing your drinks. The different toxins within each drink could react badly with the other toxins and your body will have to work harder than normal to get rid of them. A strong cup of coffee is not always ideal as it can also cause you to become dehydrated so it may only work in the short term. Drink a hot, sweet cup of tea. Eat a good breakfast, if you can manage it. Get as much sleep as you can in order to let your body fully recover. Hair of the Dog. How many times have you been told to have another drink after a drinking session, meant to make you feel better as some believe that a hangover is your body's way of 'withdrawing' from the alcohol so by consuming some more if should feel better. Have a glass of water before going to sleep or even some orange juice which is high in Vitamin C. Some say this will prevent your body from becoming dehydrated and hopefully you will wake without a hangover. In Roman times (and even today), some believe that drinking raw eggs will help to relieve any hangover symptoms. Some believe that getting out into the fresh air is a good prevention so if you are capable (and it is safe) for you to do so, walk home. Taking painkillers the following day is not always a good idea as it may irritate your stomach so only take them if you really need to. Nowadays there are plenty of powders or pills that are advertised as being suitable to cure a hangover but they do not work for everyone. Your friends may have also provided you with food options which they have tried and feel they work so if you are up to it, give it a go. Ultimately, the best advice for preventing a hangover is to drink sensibly, but not everyone wants to do that on your Hen or Stag night! Failing that, close the curtains, turn off your mobile and get warm under the quilt; you could be there for a while!